"I wish all my old colleagues well going forward," he added. Since making his mixed martial arts debut in 2007, former trainee plumber McGregor established himself as one of the sport's leading fighters. A victory over Eddie Alvarez for the lightweight championship saw McGregor become the sport's first dual-weight champion. And at the peak of his powers he transcended the sport, going on to face five-weight boxing champion Floyd Mayweather in 'The Money Fight'. However, McGregor's time in mixed martial arts has also been marred by controversy. Earlier this month McGregor was arrested in Miami for allegedly smashing a fan's phone as they tried to take pictures of him. McGregor, who finishes with a record of 21 wins and four defeats, said: "I now join my former partners on this venture, already in retirement. Proper Pina Coladas on me fellas!" In April 2016, McGregor tweeted: "I have decided to retire young. Thanks for the cheese," and was then not included on the UFC 200 card. But he quickly issued a retraction outlining that he had instead fallen out with the sport's bosses over promotional work. Following McGregor's announcement, UFC President Dana White said: "He has the money to retire. It totally makes sense. If I was him, I would retire too. "He's retiring from fighting, not from working. The whiskey will keep him busy and I'm sure he has other things he's working on." "He has been so fun to watch. He has accomplished incredible things in this sport. I am so happy for him and look forward to seeing him be as successful outside the octagon as he was in it." 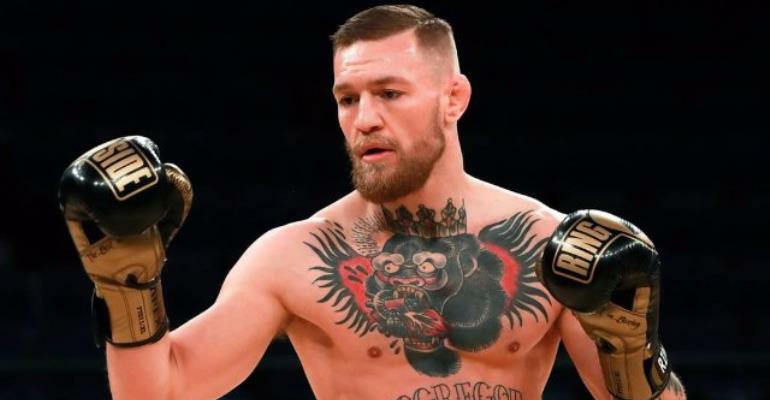 However, McGregor's latest statement arrives after an interview aired on an American television show, in which he claimed he was in negotiations with the UFC about a return to fighting in July. On The Tonight Show starring Jimmy Fallon he said rematches against Diaz and Aldo would appeal to him and he has also said he would send Mayweather's "head into the bleachers," if the pair were to meet again. "I'll be here ready for him. I'll be here ready and confident," he said. "Next camp and I do believe it should happen, I mean, why not? Why not? If I have sparring partners in my camp that march forward, trust me when I tell you, I'll send his head into the bleachers." Conor has retired before and it lasted 48 hours and we've seen it in the fight game many times before. It is generally a power play to come out and say that you are going to retire to make promoters and everybody in the infrastructure of the sport panic and come back to you with an extra zero to the next cheque. But the world of UFC has drastically changed. For the last 25 years it has been based around pay-per-view deals. So 10 times a year they did big pay-per-view events and for those events they needed superstars and champions. So Conor McGregor, Ronda Rousey and Brock Lesnar would fight twice a year and those events would generate the most income. However, that all changed in 2019 with UFC's deal with ESPN+. You no longer have to pay $100 (£76) for a couple of events twice a year when McGregor fights. Instead you pay around $9 (£7) a month for your subscription. So this may be Dana White coming out and saying we no longer need our biggest stars to fight twice a year. McGregor will need the biggest pay cheque in UFC history to come back and the numbers might not work for UFC anymore. McGregor has more money than sense. He dreamt of becoming a millionaire and a UFC champion but did he ever dream of transcending the sport and becoming a global icon? Did he ever dream of generating so much from one fight? He may be better selling whiskey. It is difficult to stay hungry when you are waking up on silk sheets.